When Apollo 8 captured the first “Earth rise” from the moon in 1968, it took days for the footage to reach Earth so the crew could share it with the world. Using lasers, hundreds of such images could be sent to Earth from that distance every second. 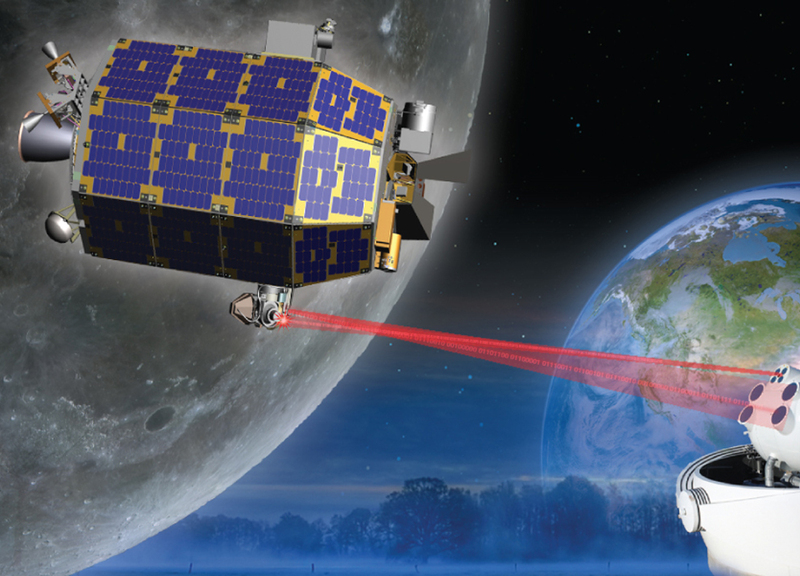 The Lunar Laser Communications Demonstration (LLCD) is a NASA project that was built to demonstrate the feasibility of using lasers to transmit communications long-distance through space. The original goal, undertaken by MIT Lincoln Laboratory and the NASA Goddard Space Flight Center, was to support up to 622 Mbps over approximately 400 thousand kilometer link between a spacecraft in lunar orbit and a moveable Earth terminal. Last December NASA released the test results: laser communication is practical at a quarter of a million miles. LADEE, the spacecraft responsible for the test, was able to send a gigabyte of information to Earth in under five minutes using the laser system, a download that normally would take several days using radio signals. Lasers are being developed to “beam” energy to a source. So far mainly studies center on using light from lasers similarly to sunlight is collected by solar panels, but who knows what mankind may discover on the horizon. Learn about LADEE and Laser data transmission in this video from Space.com.